We're partnering with community organizations and neighborhood residents to create Plaza Roosevelt, which aims to enhance the physical, service and social environments of the neighborhood. 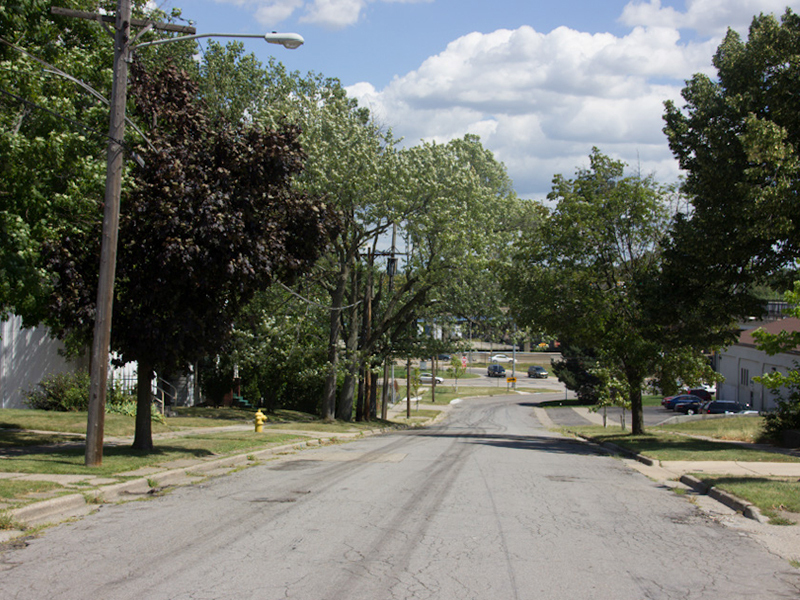 Nomadic all-volunteer arts organization SiTE:LAB will be using Plaza Roosvelt's undeveloped land as the location of their 2015 and 2016 Art Prize entries. Visit the entry during Art Prize 2015 from September 23rd-October 11th. 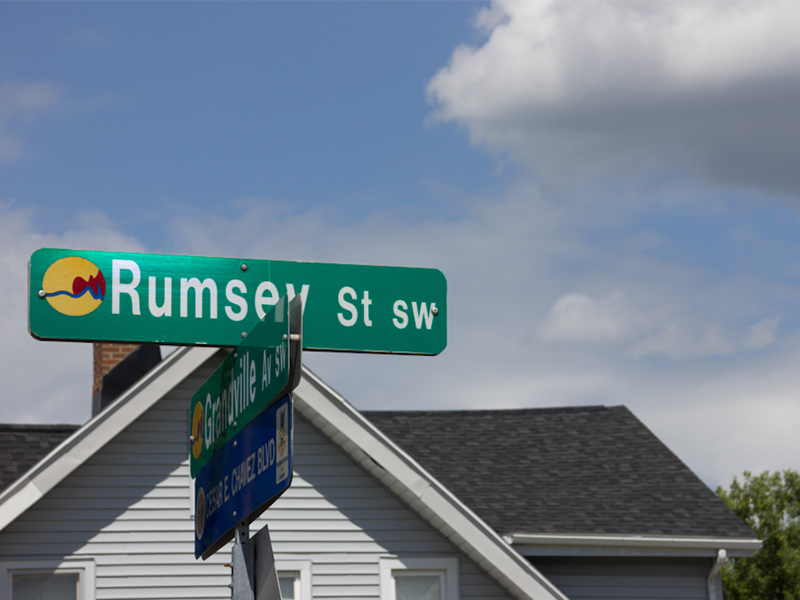 SiTE:LAB's project is called the Rumsey St. Project, named after the central street where the art installations and redevelopment will occur. Habitat Kent’s most ambitious project to date, Plaza Roosevelt is a comprehensive redevelopment project that will invest more than $20 million to reinvigorate one square block bounded by Rumsey Street, Grandville Avenue, Graham Street and Century Avenue in Roosevelt Park. While the project will not formally launch until 2017, Habitat Kent has begun convening conversations about Plaza Roosevelt and will curate the various projects and initiatives that fall under this broad community umbrella. Community, arts and education partners will have an active role in Plaza Roosevelt. 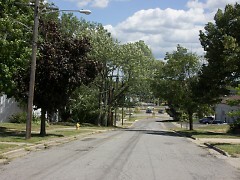 Organizations that have already signed on to the project include the Roosevelt Park Neighborhood Association and area residents, SiTE:LAB, Mercy Health Saint Mary’s and Clinica Santa Maria and Ferris State University. Additional organizations have also expressed interest in and taken steps toward exploring partnership opportunities. Grant funding has already begun on the $21 million redevelopment, which will bring new and affordable condos and townhomes, rental units, single-family homes, retailers, health care services and educational opportunities to the Roosevelt Park neighborhood. To date, Plaza Roosevelt has received financial support from Dyer-Ives Foundation, Grand Rapids Community Foundation and Peter C. & Emajean Cook Foundation. Habitat Kent began engaging neighborhood residents and existing businesses and organizations to participate in Plaza Roosevelt planning in 2013. Convened by Habitat Kent, these community discussions will continue over the next two years as the project takes shape and construction begins in 2017. In one of the earliest and most visible projects, SiTE:LAB is already working to transform the three-acre parcel into a temporary venue and residency for its 2015 and 2016 ArtPrize installations. Dubbed the Rumsey Street Project, it will focus on large-scale site-specific work done by both local and international artists responding to the vacant land and structures. Habitat Kent remains committed to its current mission of affordable homeownership and neighborhood revitalization in the greater Grand Rapids area. 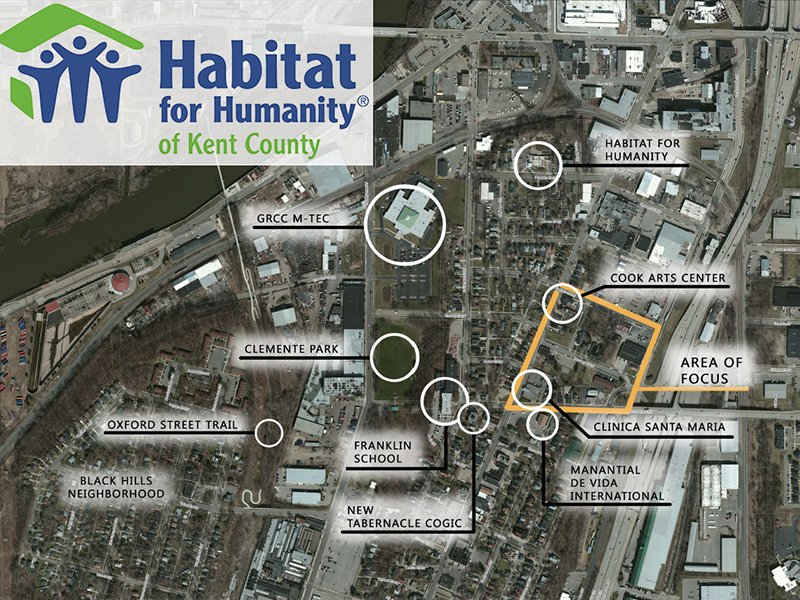 Even as it focuses on Plaza Roosevelt, Habitat Kent will work with individual homeowners to build new and rehab or repair existing homes through its Brush with Kindness program and other initiatives. 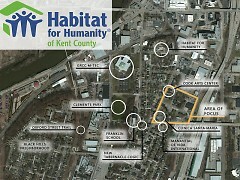 In fact, Habitat Kent has plans to build, rehab and repair 120 houses in the next two years, engaging more than 19,000 volunteers.